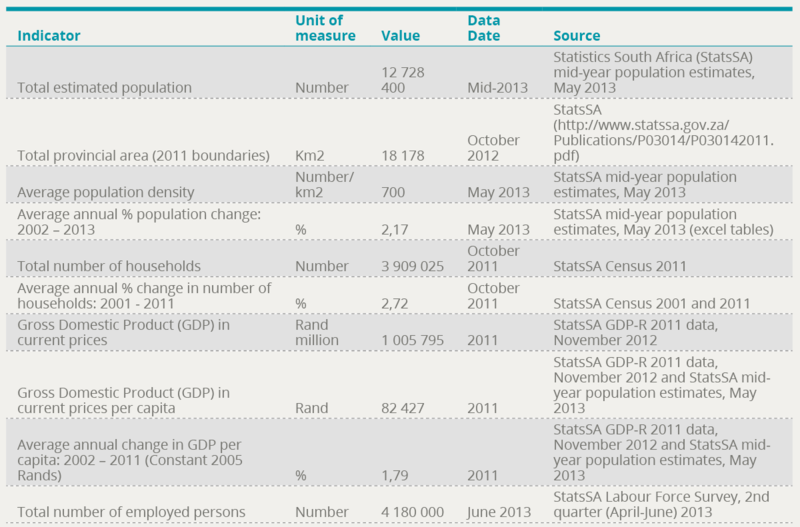 The State of the Gauteng City-Region Review 2013 assembles a wide range of data and information on the state of the region. This list of indicators provides values for the province of Gauteng, not the wider region of towns and cities spanning across the provincial borders. This is because many official and privately provided data are collected in a way that is stratified to provinces, and does not disaggregate to smaller geographic scales.